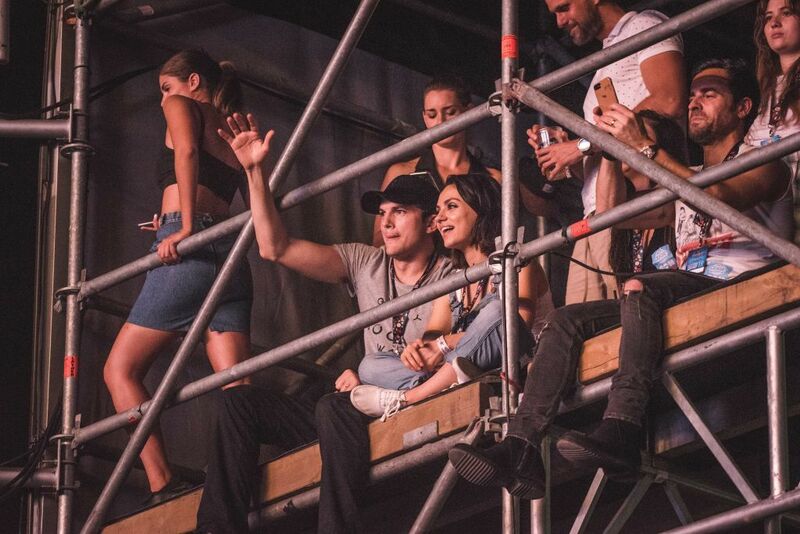 Despite being crazy famous, Ashton Kutcher and Mila Kunis always stay under the radar. They are rarely photographed, they don’t walk red carpets together, and Kunis doesn’t even have a social media presence. So when the two of them are doling out PDA and blessing the public with their sweet marriage, we’re like . 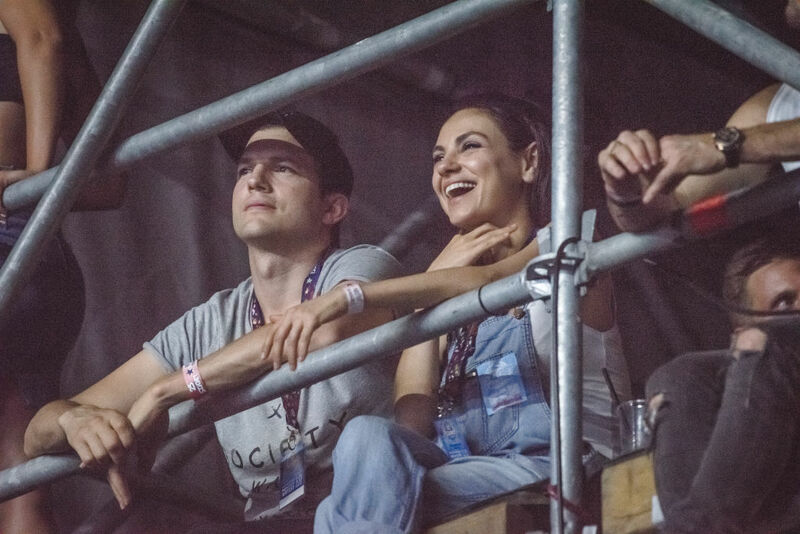 Last week, Kutcher and Kunis looked like they were having the best time taking in Wiz Khalifa’s set at the Sziget music festival in Budapest, Hungary. This Sziget music festival is like Coachella but lasts for an entire week. The festival may not have Lady Gaga and Kendrick Lamar as headliners, but it does have Pink, Iggy Azalea, Alt-J, Macklemore, Major Lazer AND circus performances. Show us an American music festival with acrobats, okay? 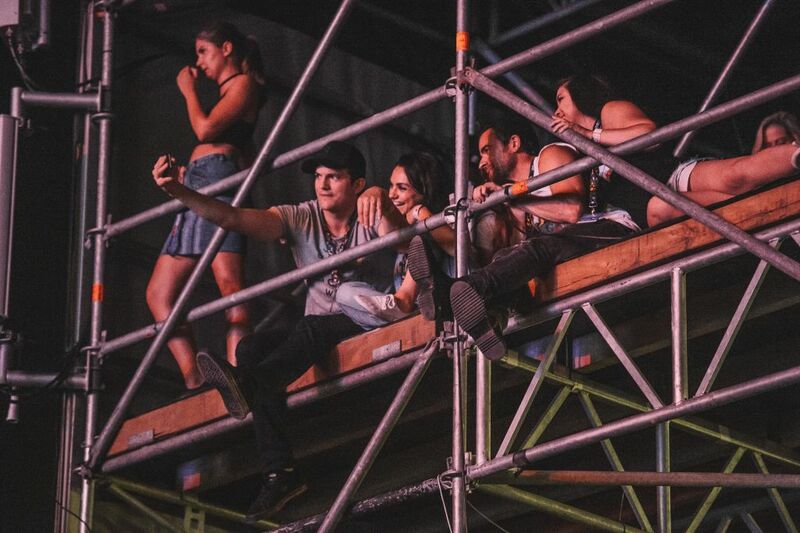 We guess the ultra-private celeb VIP section at the Sziget festival is a bunch of scaffolding? Funnily enough, Kutcher and Kunis were joined by Justin Theroux. Random, but we’ll take it. That’s him holding up his phone on the far right. There are no pics of Jennifer Aniston. So who knows if this was a double date and Aniston is just out of frame, or if Theroux likes to third wheel the Kutchers? We’ll never know. Regardless, Kunis and Kutcher just looks like a ~fun~ couple, right? Brb, literally swooning for the rest of the day.